The School of Art at Montana State University is pleased to announce the opening of Layered Expressions: Pat Lambrecht-Hould and Juliane Ketcher at the Helen E. Copeland located on the second floor of Haynes Hall, Bozeman MT. The show will be on exhibit Monday, October 9th to Thursday, October 25th. A free and public reception will be held Thursday, October 26th from 6:30-8:30 p.m. Hors d’oeuvres and a cash bar will be available. On view will be a variety of works by painter, Pat Lambrecht-Hould and fiber artist, Juliane Ketcher. Pat Lambrecht-Hould, is a mixed media painter, produces the majority of her works on canvases with gold, copper, or silver leaf on them, using the reflective qualities of the material as an element in her paintings. Juliane Ketcher is a mixed media artist, but will be presenting Sculptural fiber works that are produced through a variety of techniques, including felting. Juliane and Pat met 30 years ago and started their artist journey together, culminating in this show. A flight attendant for many years, I saw the world from above. I was forever fascinated by the splendor of the land. It appeared as a huge patchwork of geometric shapes, a grid of squares within squares, connected by curvilinear movements created by rivers, farming patterns and transversal lines of infrastructure. My art evolves from these inner visions. The connection I experience with my work is a unique journey that weaves together past and present insights. I am searching for a oneness within myself, my creativity, and the soul of the viewer. Presently, Ketcher resides in Prescott, Arizona and Lakeside, Montana. The Helen E. Copeland Gallery is located on the second floor of Haynes Hall. Please note that the parking passes are required for parking during the business day (6AM-6PM). 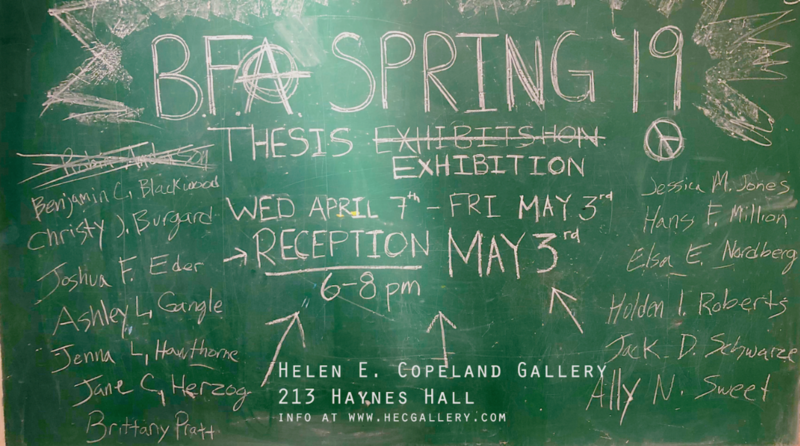 For more information on this exhibition, or on the Helen E. Copeland Gallery in general, please visit https://hecgallery.com or follow us on Facebook (http://facebook.com/msuhecg.) For more information, please email the Gallery Director, Ella Watson at ella.watson@Montana.edu or call the School of Arts at (406) 994-4501.